So I managed to get myself into London Fashion Week[end]. Press pass and all- Woopi! I am pretty proud of myself; I just hope its not a one hit wonder but the first of many to come. Taking on the cobbles at Somerset House in my Zara heels, I made my way passed (to the front of) the long queue, behind the barrier and into fashion paradise. From obvious designer wear, to alternative styles and up and coming brands; I couldn’t keep in eyes in one place; not for too long anyway. The distractions were insane. As I made my way around the venue I picked up all the freebies that i could but had to hold back on purchasing any goodies. As hard as it was, I had to be sensible and stop myself. Whilst one can never (ever) have too many clothes, I couldn’t let my addiction take over. Nevertheless; going from room to room and browsing through rail to rail; I became inspired. Inspired by the fashion and inspired to really succeed, do well and be fabulous so that I can acquire such fashion amenities. 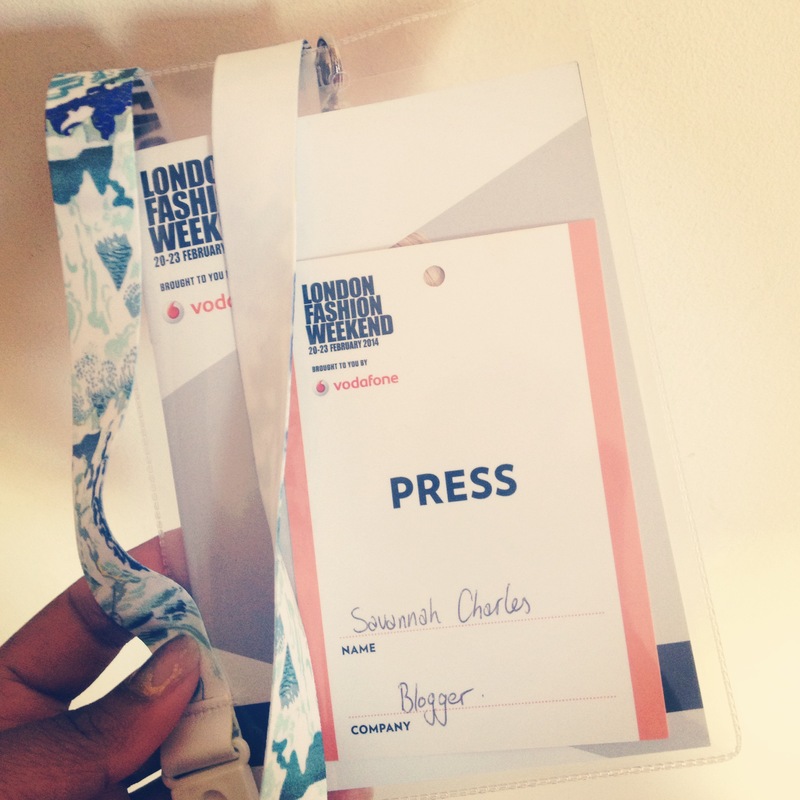 Although I didn’t quite get to see the show I originally wanted to see, I still had entry into LFW- for free! and had awesome time. Besides this is just the start and the best is yet to come so watch this space!